We here at Casinowhizz.com have a lot to look forward to in 2019. First, there was the release of Net Entertainment’s highly anticipated Dead or Alive 2 and now Evolution Gaming’s MONOPOLY Live Dream Catcher Edition is another big brand name release that’s going to light up the online casino industry. We do live in exciting times! 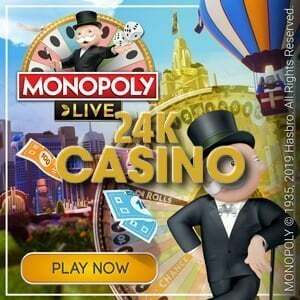 MONOPOLY Live is a collaboration between Hasbro and Evolution, casino patrons can play the game live online at 24kcasino. It’s based on the game Monopoly, the most popular board game ever created. MONOPOLY Live is available to all English, German and Italian casino patrons. 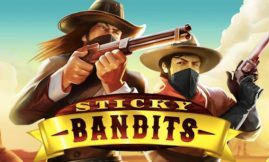 The mechanics of the game catapults Live Casino action right into the stratosphere and built into its mechanic are massive multiplier wins that will make any players jaw drop. It’s safe to say that Live Casino gaming will never be the same again. What Makes MONOLPOLY Live Unique? MONOPOLY Live has the same elements as the board game Monopoly, the only difference is that casino patrons can now play the game live in an online setting. What’s the game all about? 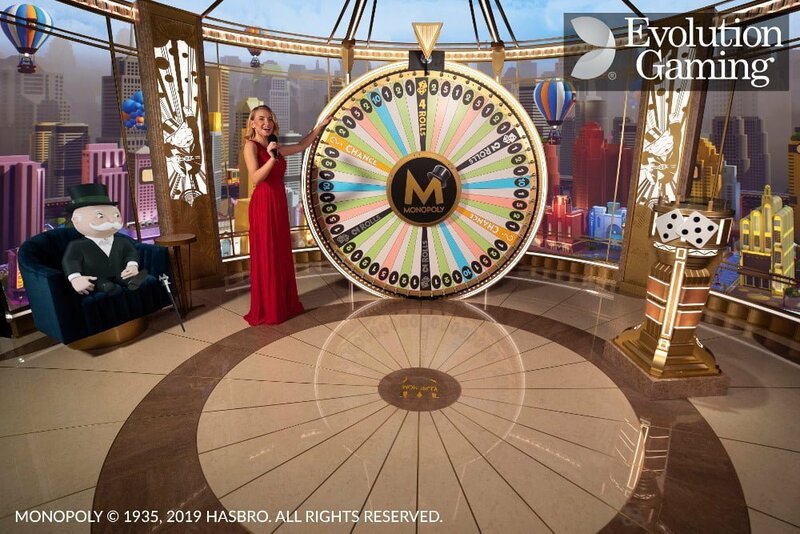 A live casino host spins a vertically mounted MONOPOLY Wheel and players must predict on which segment the wheel is going to stop. There’s even a virtual Mr. MONOPOLY that becomes animated should a player hit it big! “The familiar MONOPOLY board elements such as GO, Chance, Community Chest, Hotels, Houses, Jail and Super Tax also feature in MONOPOLY Live”. There’s more…players can bet on numbers on the wheel which contains segments of ‘CHANCE’ along with multipliers and the opportunity to win wads of cash. Game play is heightened by ‘2ROLLS’ and ‘4ROLLS’ segments, once they’re triggered something magical happens – a 3D Bonus round showcases the exploits of MR. MONOPOLY. Since there are loads of numbers on the wheel, players can place their bets on a number they think the wheel is going to stop on. The numbers can be anything from 1, 2, 5, 10, ‘2ROLLS’ or ‘4ROLLS’, a cash prize is awarded if the right number is picked. MR. MONOPOLY gives players a chance card when the wheel stops on ‘CHANCE’; two things can happen here, random multiplier bonus or a cash prize can be awarded. If a multiplier bonus is shown by the Chance Card the bets remain the same and the host spins the wheel again, all wins will then be multiplied by the multiplier. When the multiplier pops up again, the multiplier the player received will be multiplied! In order to participate in the Bonus Game bets must be placed on ‘2 ROLLS’ or ‘4 ROLLS’. The bonus round is initiated when the wheel stops on any one of the two. Those who qualify for the Bonus round join MR. MONOPOLY in a 3D MONOPOLY world where MR. MONOPOLY collects all manner of multipliers, cash prizes and loads of other goodies. A pair of dice determines the outcome of the walk. To qualify for the bonus game bets must be made on ‘2 ROLLS’ and ‘4 ROLLS’. To be eligible for a cash price during the Bonus game, players must place bets on the aforementioned. If they don’t they can still enjoy the Bonus game but they won’t be win any cash prizes offered by it.